When headed to an industry trade show our customers and colleagues often ask us: what is the best way to showcase our product or service? How do we ensure we talk to everyone who visits our tradeshow booth? How do I maximize the short time to make a game changing sales impression? We’ve compiled a few tips from our experience and other industry experts that will help you make the most of your next trade show. 1) Plan ahead. 3-6 weeks out make sure you have all your marketing collateral written, designed, approved and ready to go. This includes your demo video. 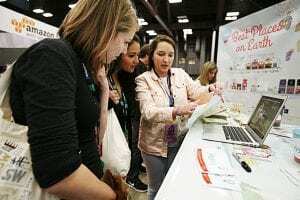 With a few tweaks, it can be an impactful way to engage attendees and pre-screen your product to prospects before they connect with someone in your booth. Watch a few examples of how some of our clients have showcased their products during trade shows recently. 2) Select and train great booth team. * Make sure your team is ready for any and all questions that come their way about your products while manning the booth. Knowledge bottlenecks from an ill prepared team member could make or break a sale. 3) Design your booth layout. It’s a fact: The human brain processes visuals 60,000x faster than text. Creating visually attractive trade show booth can make your experience successful. Check out a few of these great trade show booth visuals to jump-start your ideas. 4) Develop a Sales Strategy. Trade shows can be overwhelming for those attending so it’s important to make sure you review opportunities ahead of time. 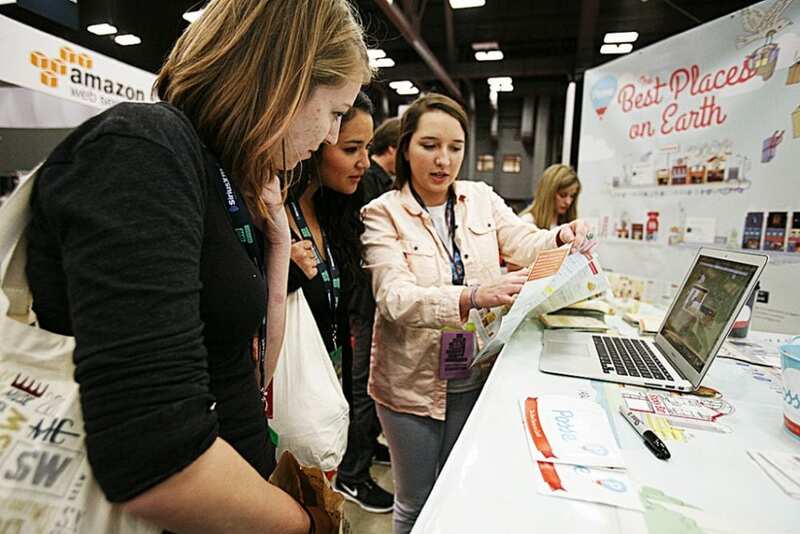 This great article in the NY Times provides great insight on Effective Trade Show Planning. 5) Set Clear Goals & Objectives. How many new leads do you expect to acquire? How many appointments? What is your anticipated close rate for each? Go into the trade show with attainable goals and objectives, but don’t forget to have a plan for what needs to happen after the show. That’s where the rubber hits the road. 6) Promote Your Attendance. Make sure you let the world know you will be there. Leverage your social channels via Twitter, Facebook, YouTube, Vimeo, Vine, etc. and let the everyone know you will be attending. This gives you the opportunity to make connections ahead of time and leverage relationships while at the show. 7) Evaluate. Once the show is complete, make sure your team evaluates what worked and what didn’t, so you make improvements for the next show. Continually streamline your planning process and improve your trade show strategies. By following these few simple steps your next trade show will be off to a great start even before the show begins.